Do you get dressed in minutes but setting your hair takes a long time? Do you feel like not going out on just because your hair is not in good condition? Do you feel less confident about your current hair? Are you waiting for a fairy to come and magically fix your hair? Well, that ain’t happening! But there are solutions you can resort to and make your hair look gorgeous. Your hair comprises of a major part of your look. Messy and frizzy hair ain’t taking you anywhere. According to a survey by ‘Curvy Girl’ commissioned by L’Oreal Paris, approximately 31% of women feel confident about their curls. (Fact) Straight hair is preferred by most women as it gives you conviction and makes you look more professional. There’s more to straight hair than just looking pretty. Want to know why girls prefer straight hair? Washing your hair and letting it settle after a hair wash is what every girl wants. Sounds impossible? No, it’s not! With hair smoothening treatment your tresses will be ever ready. Do you know that around 63% of working women in U.K. spend a lot of time in straightening their hair? (Fact) If you are a working professional, your flawless tresses post-treatment will help you save time. You can leave it open, can cut it short and style it any way you want. Go crazy with different hairstyles as you would not have to put much effort to tame your hair. What is on your checklist but never gets completed? Following a proper hair care routine that you found out on the internet! Let’s be real nobody has time. Hair smoothening is a perfect solution when it comes to making your hair ready for every event. Well, this temporary treatment is also known as Brazilian treatment, Keratin treatment, and protein treatment. A formaldehyde solution is used to saturate your hair. After this, your hair is dried out and a flat iron is used to lock the straight look. Sounds simple right? This is what it takes for you to have amazing, smooth, shiny hair. While you are all dolled up and busy admiring yourself, don’t forget to keep a few tips in mind. This will help you maintain the look for a longer time. Smooth hair requires smooth care, follow these tips to lock the smoothness. *Coughs* Actually, if you’ve not crossed the 48 hours mark after hair smoothening treatment, don’t wet your hair. Every crinkle formed will shatter your dream to have perfectly straight hair. No, you don’t have to compromise with your beauty sleep. But you don’t want to mess up your look right? So all you have to do is be careful while sleeping. Make sure that you don’t make your hair a mess after the treatment as it would end up being a complete waste. Too much dependent on your hair tie? Then you have to change your habit for a while. Hair bands leave kinks on your hair. One hair band is enough to spoil your gorgeous hair. In order to avoid any mark leave your flawless tresses open. And let that Bollywood diva that tucks her hair behind her ear, rest for a few days. Yes, putting your hair behind your ears is not allowed. Just let your hair stay as they are. Now not touching your hair doesn’t mean you will never shampoo your hair. It is just that the right care goes a long way. Use a mild shampoo and a conditioner to wash your hair. But do not use hot water as your hair will lose moisture. Take one glamourous step at a time, ladies! Hair smoothening already involves the use of chemicals in it. Adding more through highlight isn’t the right choice. For the next 6 months show off your smooth hair. Colouring can be done later! Can you name a better option that has perfection written all over it? Permanent hair straightening is what perfect hair is made up of. This process involves altering the structure of your hair. You will end up having perfectly straight hair. Chemicals are used to break the bond with the hair shaft, permanently. Your hair is restructured by applying heat to it. Love perfection…you will love the hair straightening treatment. Straight hair with loose care will never last long. 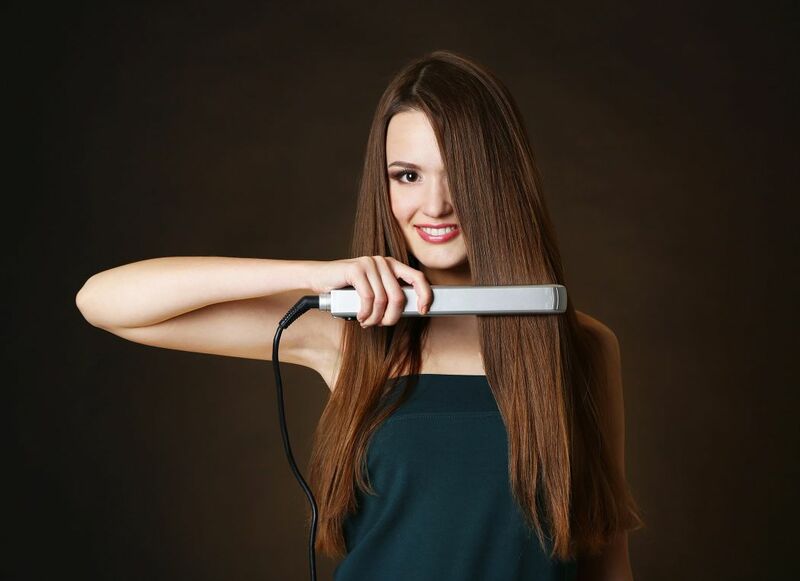 Try these steps to make your hair straightening treatment last longer. Don’t heat things further! Your hair has already been infused with chemicals. Heat is already a part of permanent hair straightening. Your hair won’t be able to handle too much hotness. You know what? Straight are likely to get more split ends. Snipp off all the hindrances that comes between you and your straight hair. Take out time every 4 to 6 weeks and maintain your gorgeous hair. Nobody likes exposing themselves to sun and pollution. But you have to be extra careful after getting the treatment. Remember how you just mercilessly comb your hair? Don’t do that! Your silky tresses need the soft touch. Start by combing your hair with a wide-toothed comb and get rid of those locks. Follow by using a brush and gently run it through your hair. This will help it get that shine and volume. Your habit of being particular about the products you use will help you here. After permanent hair straightening treatment, your hair needs the right care. The shampoo that you use should be designed for chemically straightened hair. These products will help retain moisture and will leave your hair looking healthy. Go, girl! Get that perfect look that you’ve always dreamt of. There will be no more hesitation from going out. You will not have to spend hours to straighten your hair. You will be a part of all the sudden plans. So go out and gather praises for your new look. Follow the above tips to make your gorgeous hair stay the way they are.